Experience El Nido like a local with a local. If you want to experience all the best in single sightseeing, then this El Nido land tour is for you! 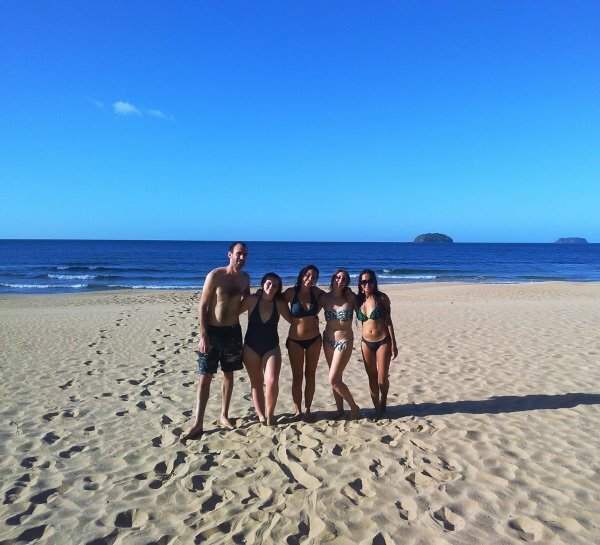 We offer this beach and backcountry tour exclusively to our guests. There are beautiful beaches away from the town which can only be visited by car or scooter. This is also a backcountry tour where you’ll get to see more of the rural landscape and lush mountains along the way. Feel free to stop anytime if you wish to take photos of the scenery. We will pick you up at your hotel at around 11:00 AM (within the town area) and have a lunch stop at Tambok’s restaurant, or brunch at a friend’s local cafe. Here, you’ll learn about the Robusta coffee from the Negros province. Have a look at some of their artisanal products, organic food, and handicraft souvenirs. A scenic 30 to 45-minute ride by an air-conditioned minivan. We’ll spend 2 hours around the pristine Duli beach. A 45 to 1-hour ride to the Mangrove site. We’ll explore the enchanting Mangroves by kayak. Enjoy the sunset at Vanilla beach. Please read our Terms & Conditions prior to adding this day tour to your Palawan itinerary.